AKA Bryce, Him, That Guy, What's his name. Some body may have to stop by. Saskpowers webpage says most of Regina is back to normal. i sent a message to their Facebook page no response yet. I just talked to the manager at Boston Pizza. They were closed for a while but plan to open around 3:30 and will be good to go for us tonight! See you all there! I just got the same message from their Facebook page. Please sign me up for Railroad Ink and A la carte. Thanks! Classes got cancelled at the U of R today thanks to the power adventures today, so I'm suddenly free. I'll be showing up. If I got to Lori on time she'll bring my copies of Istanbul, Baseball Highlights: 2045, Qwixx and Ganz Schon Clever, if anyone wants to join me. I still need some plays of the first two for my 10x10. Looks like I won't be able to make it out tonight... a few minor aftereffects of the blackout. I might(?) be able to make it in time for my 8:30 Spring Meadow game, but if I don't someone can take my spot. 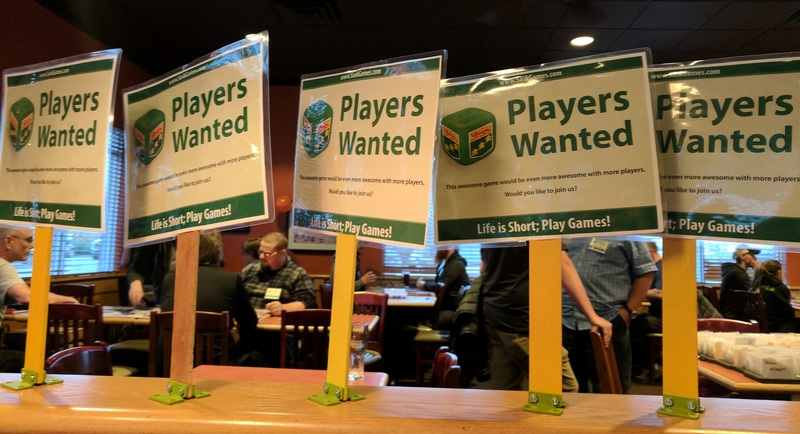 Games Played: Space Base (LTP), Railroad Ink, Elysium,A La Carte,Gizmos,Kingdomino,Tiny Epic Galaxies,Fuse,House of Danger,Century Spice Road,Dominant Species,Spring Meadow,Istanbul,Baseball Highlights 2045 and more! Volunteers please respond on the SaskGames helper page if you are attending pot-luck on Saturday. There will be no Chewsday Challenge on December 25th and it will not be rescheduled. Jan 1st still a go. Congrats Devin and Lori on winning the draw for Comic Readers Gift Certificate and BP's Gift Certificate. #ChewsDayBP - ChewsDay Challenge Hashtag. #Sask_Games - This is for all SaskGames events and activity. #YQR - Official Geographic Hashtag for Regina. #BoardGames - Official Hobby Hashtag. "Life is Short; Play Games!"